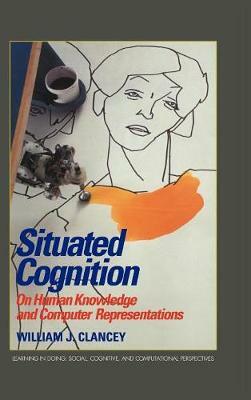 This 1997 book examines recent changes in the design of intelligent machines. New computer models of vision and navigation in animals suggest a different way to build machines. Cognition is viewed not just in terms of high-level 'expertise,' but in the ability to find one's way around the world, to learn new ways of seeing things, and to coordinate activity. This approach is called situated cognition. Situated Cognition differs from other purely philosophical treatises in that Clancey, an insider who has built expert systems for twenty years, explores the limitations of existing computer programs and compares them to human memory and learning capabilities. Clancey examines the implications of 'situated action' from the perspective of artificial intelligence specialists interested in building robots.